Choosing Public Relations representation can be a major stepping-stone for a company or organization, elevating them from just another face in the crowd, to the standout star of the show. It can also be a huge decision, especially when presented with many different options and ranges of services (and prices!) available. There was an article written the other day by Farrell Kramer on PR Daily, called 6 Reasons Clients and Execs Should Love Their PR Firm/Department. While I love the recognition for the great things PR firms often offer their clients, I couldn’t help but think that they were really things PR firms should be doing, but many don’t. It made me start to think about what you should look for in a PR firm to make sure that you have many, many reasons to love them right from the beginning. 1 Do they love your brand? I mean love your brand. Yes, a lot of firms will fake knowledge and favorable opinions about your company to get the gig, but finding someone who really is familiar with it and is a loyal follower already, or at least totally gets the brand from the get go, is so important. This is the person who is your ambassador to the audiences you most want to reach. You need to feel confident that they will always and forever be tooting your horn loud and clear- and accurately. 2 What services do you need? PR and communications firms offer a variety of services (for a variety of prices!). Oftentimes, a company thinks they need PR but is not really sure of what exactly that entails. In reality this can range from media relations, social media, community outreach, event planning/execution, or a combination and more. If you know exactly what you want, make sure the firms you look into offer those services and have a proven reputation for them. If you aren’t sure what you need, ask each firm exactly what they would provide for you and why. Make sure it aligns with your overall goals and makes sense to you. 3 Do you trust them? Your PR representation will be literally representing your brand and acting as the point of contact for media and your main audiences. Make sure they are competent and reliable people who will always make you look good. Check on how they have handled certain situations with their other clients, how they present themselves personally and as a company, and pay attention to how they talk about other people they work with. If you have any reserves, consider looking elsewhere. In addition, they will be building your communications strategy and helping to guide you through a lot of decisions along the way. You should be confident that they will give good advice and help you make the best choices when it comes to your business and how it should be portrayed. 4 Last and most important- Do they communicate well with you? Communications is basically the name of the job. If a PR person or firm doesn’t communicate well with you then they do not communicate well with other people either. It’s interesting how some PR people can actually not be that good at day-to-day communication. But this is key. You need someone who will be able to be in contact whenever you need them and who will always be in contact with media- responding and answering questions and relaying anything that you need to know. Important decisions get made quickly in the media world. If you have an opportunity to be featured in an article they need to be able to reach the PR person for any questions asap or you could miss out. Good communication is also key in building relationships and being seen as a reliable source of information; both are exactly what you want in your PR person. If they go days without responding to you they probably do it to other people too. It isn’t hard to shoot back a text in between meetings or write an email from the road these days. These little things can mean a lot in terms of accessibility and availability and making you feel like a priority—which should always be the case. 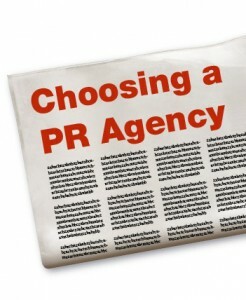 These are just four things to think about when it comes to choosing your PR. Depending on your unique goals and needs, there will be other things important to your company to take into account. These four are a base to start from and build off of. If you start here in choosing your PR, you are sure to have many reasons to love them. What do you find important in a PR firm? What do you try to provide your clients as a PR professional? Welcome to the brand new pollinaPR blog! I am thrilled to launch this blog at the same time as the new website. There is so much going on that you will want to hear about and so much to keep up with, that it seems like the perfect time to start a blog to document it and keep you informed. The pollinaPR clients all have so many exciting things lined up for fall, the PR world in general is always moving and evolving so quickly, and the city of Boston, our backdrop in all this, is booming as ever. This is the place to explore, inform, and discuss it all. Please let me know if you ever have questions, suggestions or comments, as I love to hear them! Stay tuned for more posts. There is a lot to come. I hope you enjoy it. Say hello to pollinaPR, a new public relations and communications firm based in Boston. pollinaPR works with a variety of clients, including restaurants, non-profit, and tech companies. I would love to hear from you so feel free to email [email protected] or send a message here. Follow pollinaPR on Twitter at @pollinaPR and check back here often to see what’s new!